When you’re in debt and looking for a faster way out, Side Hustles become your best friend. When we were getting out of debt, I utilized #50 from the list below and it cut the time it took to pay off our debt in half! Since then, I have done 1, 4, 6, 7, 8, 16, 26, 32, 33, 38, 45, 82 and have thought about trying out #69 on the list 😁! Yup, you can actually generate side income by simply giving your opinion via online surveys. It’s not going to make you rich tomorrow, but it’s still a great way to generate extra income during your down time. Our Top Pick: Survey Junkie has been around since 2005 and is the most trusted in the survey industry with a Trustpilot Rating of 8.8/10. The nice thing with this side hustle is they will pay you via cash (PayPal) or via gift cards from places like Amazon, Walmart or Target. You can start making money today by checking out Survey Junkie here. If you think surveys may be the way to go, check out our full list of the top survey companies for both online and offline opinions here. Door Dash is our favorite pick for food delivery because it’s been reported back to us that DoorDashers make slightly more than UberEats drivers. While we don’t have any factual statistics to prove this right or wrong, we still pick DoorDash over UberEats as our top side hustle for food delivery. If you have a car, bike, or scooter, get started with Door Dash today and start making money for your next vacation, your upcoming wedding, or whatever expense you’re saving for! Maybe you just don’t feel like driving people around in your car or maybe you don’t even have a car. Depending on the city you live in, Uber Eats allows you to deliver food to people via your car, bike, or scooter. Turn on the app in the morning before work, when you get home, or whenever you have some extra time to make money on your terms. Did you know you can rent your room or house out at Airbnb? They have been around since 2008 and millions of people have been renting out their rooms or entire homes to travelers from all over the world. If you do this right, you may be able to cover your entire mortgage! If you’re going to be gone for a month or two, you may as well allow your space to make money while you’re gone. I started this blog in 2015 from my laptop at my kitchen table and today it generates over $10,000 per month 🙂 However, in the beginning it was just a side hustle project that turned into full-time income much quicker than I would have ever dreamed. If you love writing, then starting a blog is exactly the right side hustle for you. There are many ways to generate income from blogging, with one of the most popular being through affiliate income. You know how you can share a referral link from companies you love and they will send you $5 for referring them a customer? Affiliate partners work the exact same way. Absolutely not! But just in case, I did create a step-by-step guide to help you get started in about 15 minutes. If you enjoy working from your laptop, then becoming a virtual assistant may be exactly what you need. We use a few virtual assistants for Money Peach and one of them earns over $10,000 per month as a VA. Other places where you can become a virtual assistant for an agency where they find work for your is Upwork. They take a 10% fee, but 90% is still a great side hustle. You can also check out Episode 80 on the Money Peach Podcast where my own Virtual Assistant shares how she got started as a VA and within a few years was able to quit her full-time job and start earning over $10k per month doing what she loved. I love online hustles because they give you the freedom to do these anywhere. If you’re constantly traveling for work or out of town a lot you’re going to absolutely love these online side hustles. Our very own social media manager was actually someone who was enrolled inside Awesome Money Course. We noticed how great she was inside our private students-only Facebook group and we offered her a job with us. Now she manages all of our social media for Money Peach and she has also been offered social media jobs from other bloggers! A great place to get started is visiting the Facebook Side Hustle Course by Bobby of Millennial Money Man. You can read how many of the students from the course are landing social media jobs for $1,000 – $2,000 month! Not a bad little side hustle, right? Ebates is a company that has partnered with over 2,000 online companies to form an affiliate relationship with each of them. An affiliate relationship simply means Ebates and each online company have created a partnership where Ebates will refer you or I to buy something from them, and that company then sends Ebates a thank-you referral. The good news: Ebates then splits the thank-you referral with you, and you earn Cash Back. The Better News: You can Make Money by referring friends, family, or anyone else to join Ebates! Ebates extends their referral program to any Ebates member who would like to share how to earn Cash Back while shopping online. Once you create an account with Ebates, you can invite your friends and family to join in on the Cash Back savings, and YOU will also receive a thank-you referral, aka make money. Honey is a free app that will search for online coupons and apply them to your online shopping cart to make sure you are saving the most money. Instead of searching for coupons one at-a-time and applying them individually, Honey does all of this for you in the matter of seconds. Not only will you save money, but you will also MAKE MONEY with their refer-a-friend program. For anyone you refer to the app, Honey will send you $5 as soon as they purchase something via the app up to $1,000. You can learn more about the Honey App with our full review here. Inbox Dollars is a rewards club that pays you in cash for completing a variety of online activities. This can include searching the internet, filling out surveys, printing off coupons, and shopping online. If you are already doing these things, you may as well get paid for it, right? Fiverr is a platform where you can sell your products and services starting at $5 per gig. After you have a few $5 gigs under your belt, you can start increasing how much you charge. Here at Money Peach, we hire people from Fiverr all the time. Just recently, we found someone for a quick logo design and another to transcribe some videos we created. Also, the Fiverr platform does take 20% from each gig. Therefore, if you do a $5 gig, you will take home $4 per gig. However, if you can complete 3-4 gigs in an hour, your hourly rate could start at $16 – $20 per hour! If you are creative and can create designs for company logos, t-shirts, coffee mugs, or even a social media page, you can submit your ideas and compete for a buyer. If the buyer chooses your design, 99 Designs will pay you $10 to start off. Selling on Amazon is almost identical as selling on eBay in terms of fees and ease of use. However, sometimes items that don’t sell as well on eBay do better on Amazon and vice versa. Either way, it is a side hustle worth looking at if you can buy for cheap and resell for a higher price. I know of a guy who started out as a handyman. He then took that idea as a handyman and started his own blog to teach people how to fix things themselves through blogging and video tutorial. At the end of every post or video, he would tell you what tool he used to get the job done and would provide a link directly to Amazon for you to purchase that product. However, he also signed up for a free Amazon Affiliate Account. Every time someone clicks on his link and buys ANYTHING on Amazon, he gets a commission! Think about this: Amazon pays him for the tool he recommended and also for anything else they Add To Cart. This is why I love blogging and why I have a free tutorial to help you get started. Make money by writing your own book and self publishing it on Amazon for free. There are different options available for how your can price your book and earn income from the sale of your book in the Amazon store. Questions about self publishing your own book? Check this out. Instead of having to open up your brick and mortar store, sell your creations on Etsy. Whether you make clothing, crafts, baby toys, or jewelry, you can open up your own store at Etsy. I have a friend selling her awesome clothing line on Etsy and it brings in a very nice income for the family. This is another great side hustle, but don’t expect instant results. You may need to be patient for this one. We all know you can buy and sell stuff on Craigslist, but have you ever thought about offering a service you can provide. If providing a service isn’t your thing, you can scan Craigslist for great deals and then later resell items for a profit. This takes persistence and patience, but I have a friend who went from a $4k truck to a $24k in truck in 18 months by flipping cars from Craigslist. There are also many other sites competing with Craigslist and you may have better exposure by posting on these sites like Craigslist. Don’t want to do an online survey, but still like to surf the web and earn some cash? Companies will pay you to try out their apps or visit their websites and give them feedback. Usertesting and Testbirds uses your feedback on apps and websites that aren’t as user-friendly and then pays your for it. If you are a good writer, consider searching online sites such as freelancer.com for writing jobs. Individuals or companies might need freelance writers for a number of reasons. Individuals or companies might need a writer for their blog or website, or a company might need a writer for its instruction manuals, for instance. Pro Tip: The best way to learn how to get freelance writing jobs is from someone who has been doing it for years. Holly Johnson generates over $100k per year freelance writing and she has a program to show you how to do it. If you’re not quite ready for her program, check out their free workshop (look for link at top of this page). An even better option is to learn from those who are already making 6-figures as freelance writers. Check out Episode 13 on the Money Peach Podcast where Holly and Greg Johnson share how they got started as freelance writers and soon turned their side hustle into a 6-figure income. Make money on Zazzle as a designer by selling your artwork on different products or you can actually make and manufacture the products for sale. I have a friend who takes old dry wood and paints slogans on them. She needs to sell them on Zazzle; she could create a very quick and profitable side hustle. You can have your own store up in only a few minutes at eBay. To start, you must have a seller account, must be verified through PayPal. You are even able to give a detailed description of your store with a catchy design to attract customers. I have a friend who will buy all of the unused bras at a last chance type of store and resell them for a profit at her eBay store. Last I heard, she was doing $1,000/month in her first couple of months. Companies hire transcriptionists for a number of reasons. A doctor’s office might need a medical transcriptionist to record information about a patient’s appointment, or law enforcement agencies might need transcription services for court cases or suspect interviews. Data entry work, which is a bit easier than transcription work, is also available from companies who hire people to work from home. Simply google “transcription work” or “data entry jobs” for a list of companies currently hiring work-from-home reps.
Do you take amazing photos? You can actually sell your photos online at places like iStockPhoto, Shutterstock, Fotolia, and Bigstockphoto. Photos can be sold over and over again, allowing you to earn a residual income! If you’re knowledgeable about web design, you could make money creating or improving on websites for individuals or businesses. Advertise on Craigslist or approach businesses directly if they have a website that needs improvement. There really is no shortage of ways to make extra money if you’re willing to get creative and do some research. Which financial goals will you use the extra cash you earn to accomplish? If you have a car, you may as well use it to help you side hustle, right? Here’s our favorite driving side hustles. If you are unfamiliar with Uber, then make sure you still have a pulse and you are breathing air. To get started, some minimum requirements you need are a car, a smartphone, and the Uber app. You become available to drive as soon as you complete the activation process and then you are ready to start earning money. Fares are paid out weekly or up to 5X a day when you register for Instant Pay with your debit card! Today, there are more riders on the road than ever! This is one of my absolute favorite ways to start generating money quickly. If you like passive income, then you may want to review the top 40 passive income ideas . But to get you started, here are our favorite side hustles that are also extremely passive. You’ve likely heard of AirBnB, where you can rent out rooms in your house – or your whole house – to travelers wanting to avoid the impersonal feel and high cost of hotel rooms. Maybe you can’t or don’t want to rent out rooms in your house, but you might have space in your garage to rent out. Sites such as Air Garage help people rent out their garage spaces and driveway spaces. People might want to rent out your garage or driveway space because they work close to where you live and want cheaper and safer parking options. Or they might want to rent out your parking space because there’s an event near you, such as a state fair or sporting event. Depending on where you live you could easily earn $50 or more a month for parking spots in your garage or driveway. Check out this Money Peach podcast with AirGarage CEO Jonathan Barkl for more info. You know those people who talk on radio and TV commercials but you never see their faces? They’re called voiceover artists, and they get paid good money to do what they do. Sites like Backstage list available voiceover jobs, and Carrie Olsen, professional voiceover artist, has a great web site that can help you learn how to become a voiceover artist. Check out this Money Peach Podcast with Voice Over Star Carrie Olsen for more info. Did you know your car sits idle 93% of the time? If you’re not going to need your car for the next couple of days/weeks/months, you may as well let it earn you some cash. You can list your car through RelayRides and have your personal car rented out tomorrow. Own a home and need extra cash each month? Rent out a room in your house to help cover the mortgage and free up some of your cash. So, not all side hustles are for everyone. In fact, these ones below do require some skill to make money. But, the more skill you have, the more money you will make! If you have an idea and can help people, pay attention. Whether it is motivating someone, helping them pass a class, or teaching them how to build a website, this can all be done online. Setup you’re pricing, terms, and accept payment through something as simple as PayPal and you are on your way. I recommend using Skype or Google Hangouts since it is 100% free. Help someone and get paid – genius. Is there something you are good at and can teach to others? I have a friend who will teach you how to clean pools over his site, Swim University. Check out Udemy for ideas on your next online course and see how much people are paying for someone like you to teach them. One of the greatest accomplishments I have had in my business is helping others reach financial freedom. We have had over 500 students graduate Awesome Money Course and completely turn their money situation around! Awesome Money Course does cost money because it’s extremely valuable, but we also have a 100% free mini-course called the Cash Flow Formula which will show you the step-by-step to building a monthly cash-flow plan with many of our favorite money-hacks to save more and pay off debt quicker! Professionals of all kinds pay ridiculous amounts of money for professionally written resumes. I know one guy who paid a professional resume’ writer $5,000. If you have a knack for writing compelling and attention-grabbing resumes, consider offering your services on sites such as freelancer.com or Craigslist. If you’ve got a great idea for an app that will make people’s lives easier or more exciting, this could be a great side hustle for you. Check out this article on techradar.com for more information on how to develop and market an app for some extra income. If you love cooking, serving food, and entertaining at your own home, then get paid to do it for someone else. This can be fun and can often go from side hustle to full-time if you’re really good at it! How many Baby Boomers (or anyone for that matter) do you know who are still having trouble checking their email. If you were able to navigate to this web page, then you probably have the skills to teach extremely basic computer skills to an extreme beginner. A friend of mine finds guitar gigs online, on Facebook, and in the paper all the time. He shows up, plays for a few hours, and leaves with cash in hand. Note: you must be good at playing the guitar. If you are handy on the 6 string and can show someone else, teach them. Better yet, teach the world online how to play guitar. A great place I have found to land jobs near you is by posting inside the neighborhood social network NextDoor. Become a lifeguard and earn $16/hr – $20/hr part-time. Not only do you make some extra cash, but you are guaranteed to get a little tan as well. If you don’t mind getting underneath the car and pulling the drain plug for people, then this could be your next side hustle. People are busy, and may want to pay you to change their oil while they are at work. Note: Wal-Mart always has the cheapest oil. Network marketing (sometimes referred to as multi-level-marketing) can sometimes have a bad connotation if you have ever been scammed in the past. However, there are very reputable companies out there that you can start working for today with very little buy-in or overhead. A member of our family started off her network marketing business as a side hustle and has turned it into a part-time gig with full-time income. Warning: if you are told it doesn’t require any actual work – run away! Someone out there wants to get into better shape, and they are willing to pay you to help them. If you love fitness, this would be a perfect side hustle for you. Take your education and use it to make money on the side. Tutor students and get paid handsomely. Eduboard is a place where you can get paid for online tutoring too. From singing to playing piano or any other number of instruments, parents everywhere are seeking music lessons for their kids. If you have a gift for a musical skills, consider teaching that skill to local kids. You might be able to find jobs by looking on Craigslist or by seeking out local public school or homeschooling groups to connect with parents who have school-aged children. Do you have a gift for baking goodies such as cake, muffins or cookies? Why not use that gift to make yourself some extra cash? Events such as birthday parties, weddings, office parties and meetings, retirement parties and more often have baked treats as a part of their celebration. Advertise your culinary skills on Craigslist and with local event booking venues for your bakery services. Be sure to check with state officials on what the rules are for serving and selling food in your area first. Are you knowledgeable about the rules and regulations of certain sports? Do you like working with kids? Recreation associations often pay good money for organized sports umpires for football, baseball, and more. In our area, umpires earn about $30 an hour. Check with local sporting organizations for job opening details. If you don’t putting in a little sweat equity, you can do very well side hustling with some physical labor attached to it. I did #50 when I was getting out of debt and generated over $1,000 each month. This requires very little overhead and is simple to do. Go to Google Earth and look up which homes in your neighborhood have a pool, and offer to start today. I actually did this to get out of debt and it worked out great! People are busy and don’t have time to clean their homes. This is where you come in 🙂 Search your area in Craigslist to get an idea for pricing your own services. If you don’t have the funds to purchase all the equipment, then offer to your mow lawns with their equipment. I actually did this in grade school because I wasn’t old enough to drive. I just showed up, grabbed their lawnmower, and was paid. Gates fade and someone needs to repaint them. A kid in the neighborhood took pics of faded gates and pretty gates and posted them on the mailbox with his number and price. (I think one of the faded gate pics he took was my gate also). Remember that movie American Pie 2 where they spend the summer in a lake house and do some side painting. No one likes painting their houses or walls, so why not help them out for a little side cash? Start out small by offering to paint a bedroom or two, and work your way up from there. Pricing rule: $1 per square ft of painting. No one likes shoveling snow and this is why you will be paid for it. If you can wash a car, then you can make money. People are busy and don’t have time to even take their cars to the wash anymore…this is where you come in. I recently paid a guy to wash my windows because he advertised $4/window. He spent about 1 hour washing a total of 20 windows and walked away with $80 cash. His entire setup was a bucket and a squeegee. Maybe I should wash my own windows and my neighbor’s windows for an affordable price of only $4 a window. If you are unique, then you deserve some unique side hustles. Some of these are extremely cool, but a few of them…well I am still waiting for you to try. Thinking about a new hair style? You may want to. People are paying up to $1,000 for quality hair if you can remember to wash it more than once a month J Check out what your hair is worth at Hairsellon. 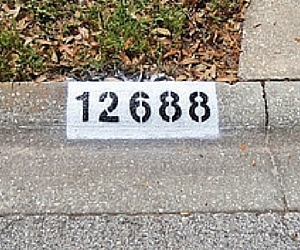 A father and son rang my doorbell and pointed out to me my street numbers were faded. “For only $10, they would repaint my street numbers so my house would look better”. I paid it and it took them 37 seconds. They did 6 houses on my street alone. This is a great little side hustle. I live in Phoenix where it will hover at 116°F during the summer. I also see a guy selling snow cones and water for a premium. I asked him how business was recently – he smiled and said “Business is gooooooood”. Buy a case of water at Costco for $0.12 a bottle and resell them for $2 wherever it is HOT. Who wouldn’t pay $2 for ice-cold water during the dog days of summer? Become a task rabbit and get paid. People in your neighborhood are looking to pay you to put together furniture from Ikea, do their grocery shopping, install a ceiling fan, be a bartender at their party, or mount their TV to the wall. Somebody is always selling a home, and homes sell faster and for more money when they are “staged”. As a home stager you can tailor your business to meet a variety of client needs. Creating relationships with local realtors is one way to help you find home staging clients. There are many legit companies that offer to hire customer service representatives who can from home. One of the more popular work-from-home companies is U-Haul, the well-known moving company. An estate sale business buys a large majority of a client’s belongings, including furniture, vehicles and more, at a group rate and sells the stuff individually for profit. This is a business that will take some work as you get to know the ropes but can be very lucrative in the long run. Many companies want vending machines installed at their businesses for the convenience of employees and clients alike. Although this type of side hustle would involve some costly initial cash, you may be able to make it up quickly if you install the machines in thriving businesses that service large numbers of people. 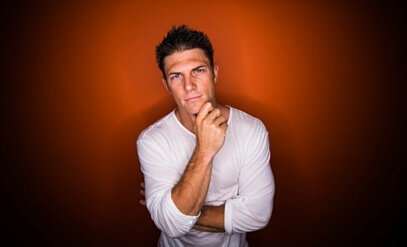 Brian Winch came on the podcast to share how he picks up trash around parking lots and now earns a 6-figure income by doing so. Although it may not be glorious work, it does pay well and it’s extremely affordable to get started. Before you get started, check out the Clean Lots tutorial here. 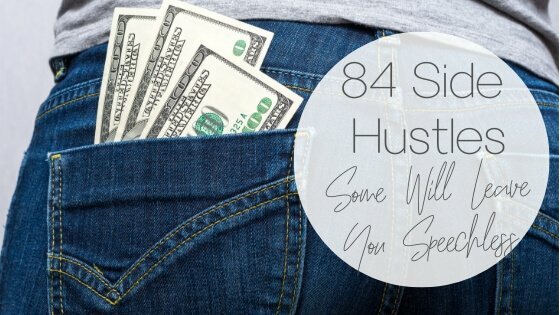 Before you read on, just remember the name of these side hustles are you’ve-go-to-be-kidding-me side hustles. Some of them will actually shock you 😉. This is straight out of the movie Road Trip when they need gas money. However, you can make substantial money donating sperm, with some places offering up $1,000/month to healthy men. Be aware, if you’re not a true thoroughbred, you won’t be paid as much! Since there is no way to synthetically make plasma, you will be compensated for your donation. Rates vary from state to state, but you can make on average $200/month for only a few hours of your time….and blood. We have a full list of where you can earn $400 per month donating plasma here. Ah yes, cuddling. This is an actual real job and I recently saw it featured in a news segment. People are paying for up to 3 hours of platonic hugging (and they pay a lot). Job requirements: enjoy hugging strangers. Who likes picking up dog poop? Nobody. This is why you can get paid for it. You can sign up for free at Rentafriend to be someone else friend both part-time and full-time with pay between $20/hr – $50/hr. Yes, this sounds very strange from the outside looking in, but a lot of times you are helping someone get acquainted in a new town, meet a new group of friends, or simply have a cup of coffee with. Most importantly – friendship is always platonic (no touching). These are some of the classic side hustles that we call the easy peasy ones. If you are looking for simple, but yet effective, these are the side hustles for you. If you like kids and don’t go out on the weekends, become a babysitter. Advertise to all of your friends (and Facebook Friends) that you will watch their kids so they can have a date night. New to the area? Then get connected with Care.com to become a certified/recommended babysitter in your area. Create this ad: “Love your dog but simply don’t have time to walk them? Let me help you!” There will always be someone willing to pay to keep their doggy happy, and this person is you. Download the free App and then find “gigs” in your neighborhood that companies are willing to pay you for. Can you check out the price of milk in a certain store for $6 or snap a pic of a storefront for $5 on the way to work? Note: You will start off with the crappier jobs in the beginning, but prove yourself and you will start getting offered the higher-paying jobs soon enough. If you love being around the golf course (or don’t mind a few drunk old men) you can make pretty good money part-time by collecting balls off the range, cleaning golf carts, or serving cold beers at the tee box. Who doesn’t want to get paid for simply living in someone else’s house for a few day days? This is simple and people will pay you for it. You can think of it as a mini staycation too! Get paid $10 – $30 on average to be a mystery shopper. However, beware because there are a lot of scams out there. I recommend checking out Marketforce, Best Mark, and Intelli-101 before you head anywhere else. There are people out there that simply will not shave their dog and will pay you for it. Create a Facebook Page called “iShaveDogs” and let all your friends know! Someone will hire you. If you truly love animals, then why not get paid to hang out with someone else’s dog or cat for the weekend? You can become a pet sitter at Care.com or specialize in only watching over someone’s pooch at Rover. You love renting movies for only $1.75, but did you know you can get paid to stock DVDs into the kiosks and make sure they are working properly? Check out Redbox Jobs and also see these 12 free Redbox Codes for free moves and games. Post in your social media or offer in the newspaper that you will come and take any scrap metal away for people. Not only could you make a few extra bucks for hauling away metal, but then you could sell it at a scrap yard. Double whammy! When I was in college, TurboTax hit the Internet. I created an ad on a bulletin board and offered Tax Prep for those who make less than $100k/year so I could use the free 1040EZ software. My overhead was $0 and I charged $20 to punch the numbers from the W-2 into TurboTax. Another great option is to try H&R Block and see which one you like the best. We also have a full review of H&R Block here. As you can see, we live in a time when anyone who wants to make a little (or a lot) of money can. Your local area is no longer the only area to make money. The entire world is at your fingertips through the use of many of the options mentioned in this post. What is one skill you have that others could learn from? Think about what’s the one thing you actually love doing that people would want to pay you for? How can you take your side hustle idea and turn it into monthly income? 3…2…1… it’s go time my friends! I am deep in the course creation process right now writing a big course to help paramedics pass a professional certification exam. I’m on a time crunch because I’ve already Pre-Sold the course to “test the waters.” I wish I had thought to create a small course first to get my feet wet before jumping into such a large undertaking. Too late now. -Decorating/interior design like at parties, weddings, etc and planning. -Modeling for a clothing store,or just modeling in general. Good ideas! I’ll have to add them to the list! Perhaps a “Passive Hustle” but SpiceRaQ.com is a new service that allows you to make extra money from renting out your unused space to those who wish to host a dinner or gathering and simply don’t have enough space in their own home. There are thousands of people living in BIG cities that just don’t have the space or privacy in their own home to have friends over for dinner or a catch up. Whether you’ve got a studio apartment or a huge house, you could list your space and start earning without having to leave town for the weekend. Staying late at work? List your space. Have dinner plans? List your space. Going to a fitness class? List your space. Its really simple! Just create a free listing for your space highlighting all of its wonderful features, including the contents of your SpiceRaQ(so that guests know what ingredients they do or do not need to bring for their meal) and Voila! That’s interesting! I’m going to look into it. Great ideas to create an extra income stream! Just remember that as a side hustler (a.k.a independent contractor) you are responsible for paying your own taxes on a quarterly basis. Be sure to set aside some of your net profit because Uncle Sam will certainly be looking for his cut. Yes! I 100% agree with you as well. To learn more about filing taxes with multiple side hustles, check out our post here. Great list of side hustles. I am going to try to start a couple of these for extra income soon. The amazon affiliate one really grabs my interest. just came across your site a couple of hours ago while googling “how to do a hustle legally”…checked out a couple of sites, but signed up for RentAFriend. Now I am waiting for approval from them. Thanks for listing them! I call myself a Transplantedphoenician because I have moved here from Iowa with my partner (whom I met there), after he decided to come back to Phoenix. I literally thought (when he offered for me to join him), “what the hell?! I don’t have family in this town anymore!” Been the best decision in my life…both health wise and now (hopefully) friend wise too! Glad to have you in Phoenix! 🙂 I’m also happy to hear the article was helpful. The side hustle life provides anyone the opportunity to see the true financial beauty of life. If you would like an editor for articles such as this, I would be happy to be employed in that capacity. The truth is that whether you would like an editor or not, you need one. Take number thirty-nine for example. I believe the word meant to be used was “connotation.” “Annotation” has an entirely different meaning. Whether you hire me or not, I do enjoy your articles and will continue reading them. Thanks! Thanks for pointing that out. We’ll take a look at updating that. Intriguing list, wonder if AirGarage will take off, seems like it has potential. There isn’t a consistent source for listing parking spaces still! Awesome list. I am definitely going to have to get a few of these going before I graduate. Ha! Thanks for pointing that out! I just joined Referral Car. Advertising for companies with a decal on your rear window. Can’t wait to see if it works. Pretty impressive list. Have you run into gigs like Puls and HelloTech? Both a tech repair apps that focus on TV’s and Mobile Phones. Could be an intriguing one for areas in demand. I wish I knew about side hustles 20 years ago because had I known so, I wouldn’t have gained the corporate experience I have today and probably would have been 20 million dollars richer.